WE are continually told never to do things by halves, but half a day on the hills can often be just what we need. This has proved particularly relevant over the last few disrupted weeks where weather and opportunity have meant my chances of hitting the high tops has been severely restricted. I usually love this time of year but I can’t wait to see the back of this miserable excuse of a winter which has never really got going. There have been some good days, but mostly it’s been filled with false promise, the constant freeze thaw conditions proving frustrating. And when you have a winter like this, you have to take every opportunity going, something I have been unable to do. The few fine days of deep snow and blue skies have been largely missed. Instead, it’s been a desperate search to find the least grey part of the country on the occasions when I could venture out. The result is that my usual get-up-and-go seems not only to have got up and gone, but it’s not even bothering sending a postcard to say when it will be back. Mind you, I should have known the ways things were going to go when I had winter tyres fitted on my car. Last year I had to turn back on a glorious morning in Glen Affric because I feared I would never make it back out along the snow-covered single-track road. I decided I wouldn’t be caught out this time round. I suppose the outcome was obvious: Winter has been posted missing. So with unpredictability the name of the game, I have found the Grahams a godsend. They are perfect hills to fit into short weather windows. Tuesday was a great example; a bright start all over the country with rain scheduled to sweep in from the west by late afternoon. I could have gone to the Cairngorms and had a longer day, but I have found myself there a lot so far this year. I wanted to go west, even though it meant a six-hour round trip to take in a three-hour hill. I began to question the wisdom of this decision as soon as I swept up on to the road across Rannoch Moor where a towering wall of bubbling, boiling grey cloud dominated the horizon. 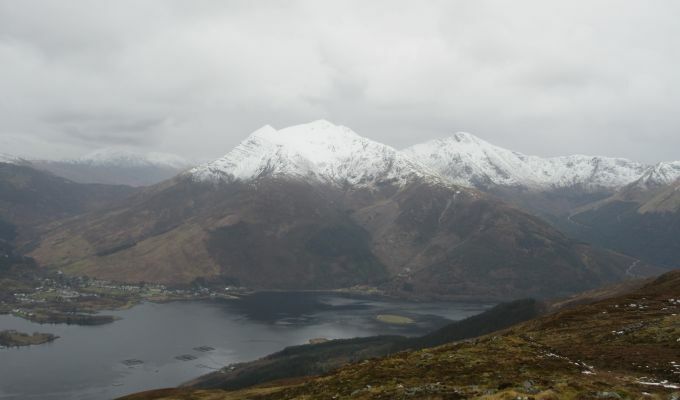 The Buachaille looked menacing, the ridges behind the Three Sisters seemed to vanish into nothingness, Loch Leven was a flattened grey sheet of steel. 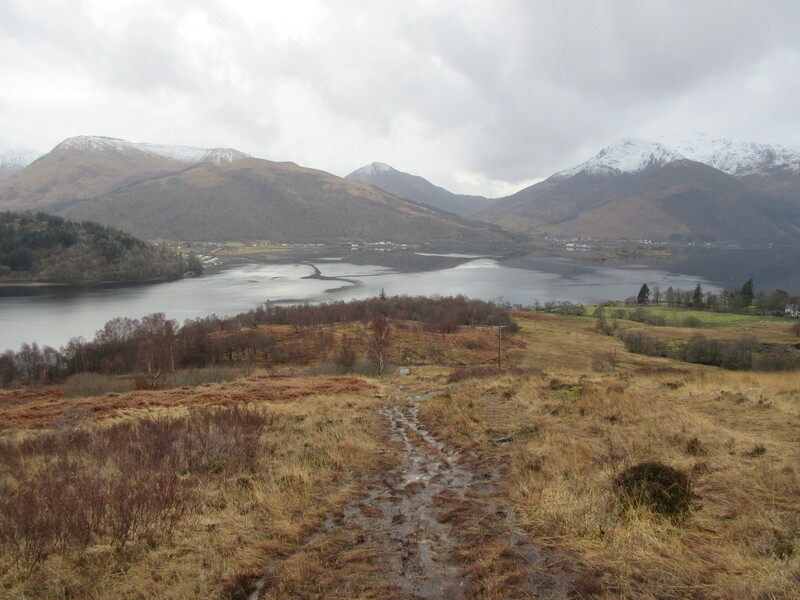 Yet slowly, but surely, as I made my way up the boggy path through the trees on the north side of the Kinlochleven road, the peaks began to reveal themselves in full. Tom Meadhoin is a mere pimple, but its central point in this panorama means it punches well above its weight. Directly to the east lay Mam na Gualainn, with poignant memories of an ascent soon after the death of a dear friend, and beyond that the Mamores ridge including a fittingly unblemished face of Stob Ban, the white peak. 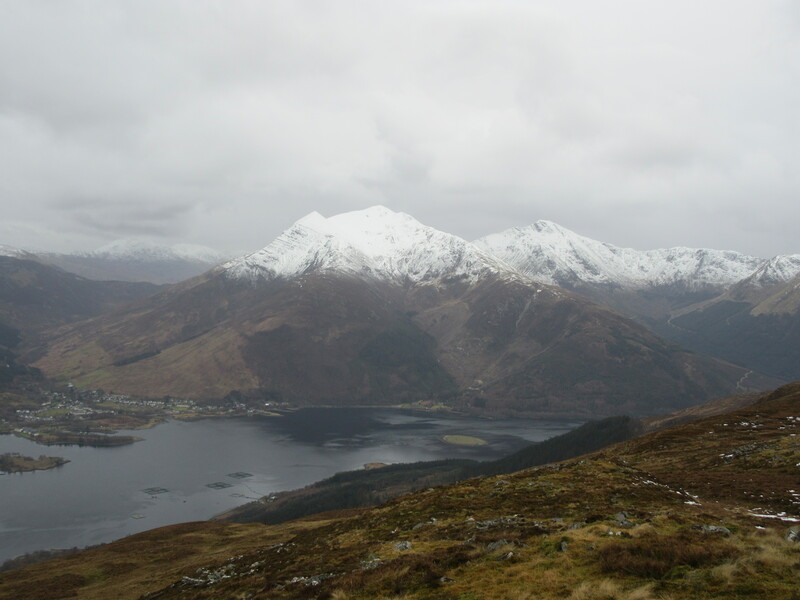 The twin horns of Beinn a’ Bheithir dominated the sky above Ballachulish, white tips thrusting into the growing cloud. Tracking east along through Glen Coe, the many summits of Bidean and the Buachailles jostled for favour. As I made my descent, I turned for a last look at Beinn a’ Bheithir, but it had been smothered by rolling curtains of moisture, the rain moving in faster than forecast. I managed to stay dry most of the way down, a triumph on a day of uncertainty. Three hours of clarity, enough to give body and mind a tonic. It wasn’t half bad.